You can run this trail one way, both ways and or add on spur routes to make the trail longer. It’s close to town and without much elevation gain, but the miles can quickly add up. The Hayden Arch to Newton Lakes Trail will get you off the main road and into some solitude and history. There’s little car traffic on this trail until you get closer to Newton Lakes which is a very popular fishing spot. The trail itself is mostly along an irrigation canal so the road, although dirt, is quite wide and not too rocky. When the water’s running in the late spring through early fall it makes for a pleasant run. This is a good route for anyone wanting a flat run on a broad gravel road. Bicycling kids can tag along as well. 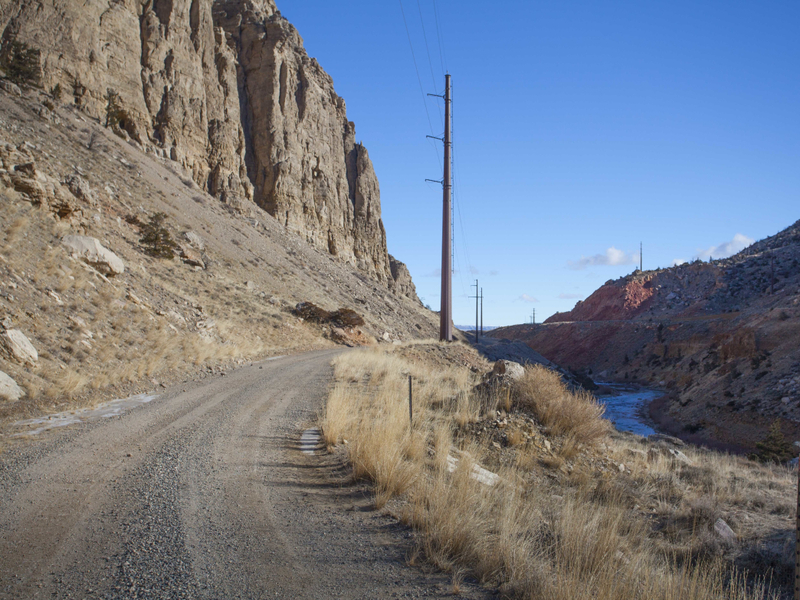 Part of the trail is a section of the old Cody Road to Yellowstone. 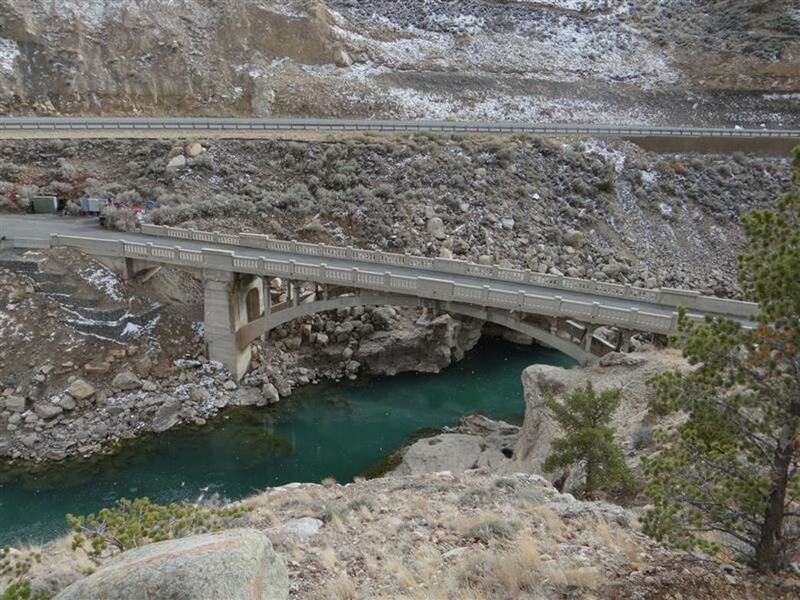 You start at the Hayden Arch bridge, the only example of an arch bridge remaining in Wyoming. Go across the bridge then turn right on the trail just before the gate over the road. From here you’ll head over the old stage route east across the bench to Newton Lakes. This portion of the out and back route is 8 miles. 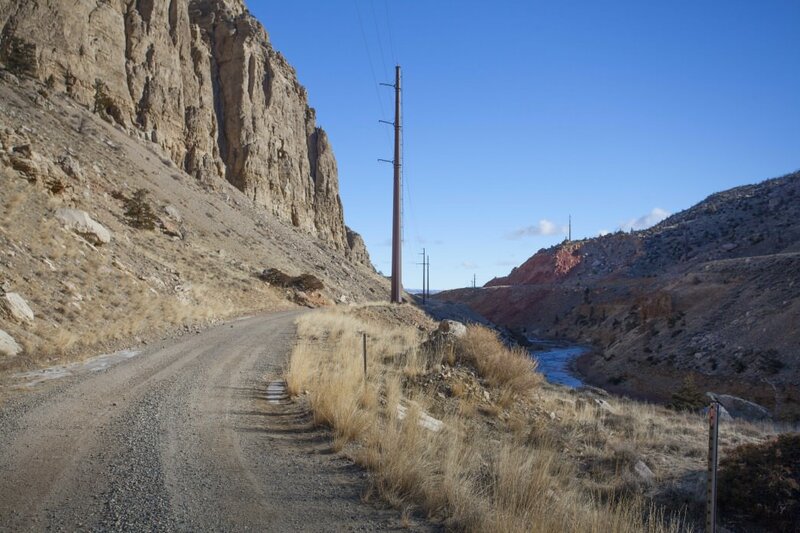 For most of the way the trail is actually the access road for the Heart Mountain Irrigation Canal which provides water from Buffalo Bill Dam to farmers living north and east of Cody. At one spot you’ll see the canal go underground. Continue running the road for another half mile or so until the canal pops back up to the surface. Turn left here to run down the main entrance road to Newton Lakes, or you can continue running along the canal for extended mileage. At the Hayden Arch Bridge you can first run out the bridge road itself to the base of the Buffalo Bill Dam, 3 miles round trip. The road is paved with a slight uphill grade as you head to the dam. The canyon walls become steeper and the river more wild as it courses through the boulder strewn channel. There might be some light vehicle traffic from employees of the power plant and dam however. You won’t get bored running any section of this trail. 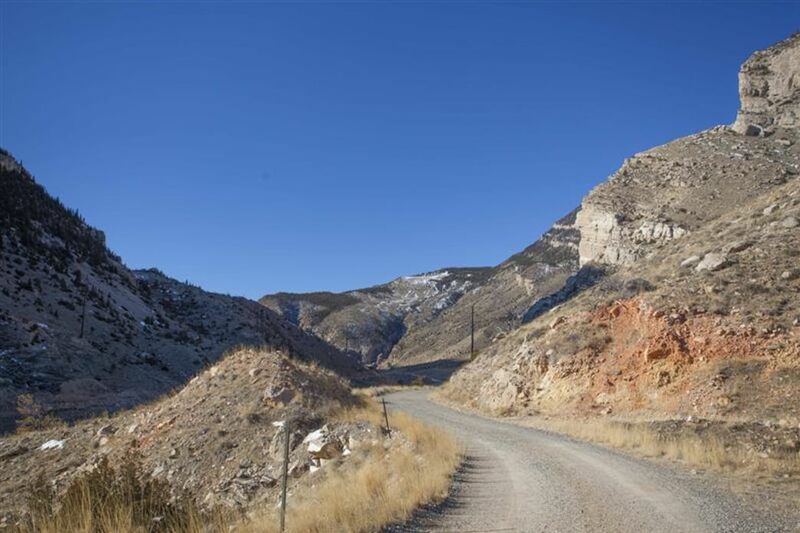 You’ll get views of the steep walls of the Shoshone River canyon when you start out, then as you head east you’ll see the Big Horn Basin open before you with some stunning views of Heart Mountain on the northern skyline. 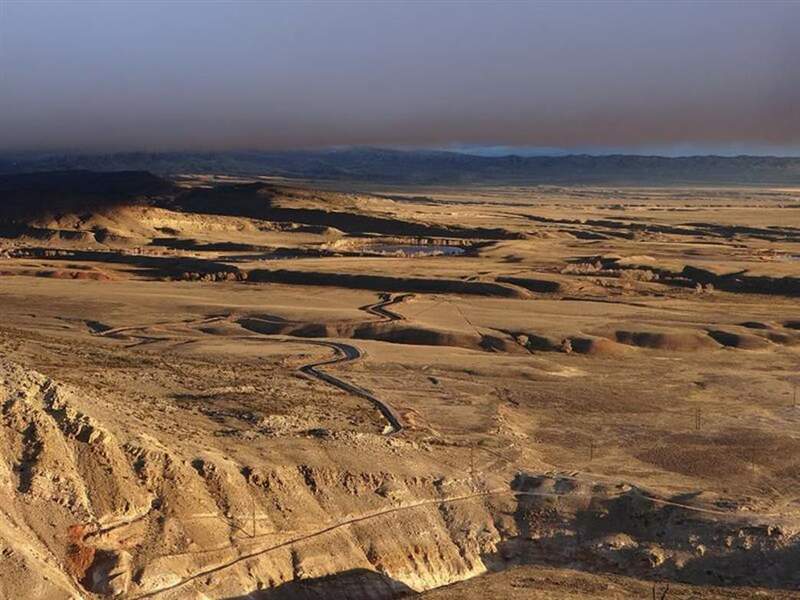 As you head to Newton Lakes the rounded shape of Red Butte comes into play along with the dramatic slopes of Rattlesnake Mountain. That’s a lot of big scenery. You’ll probably be treated to sights of wildlife as well. Pronghorn and mule deer as well as birdlife along the canal should make for an interesting run. From Cody, go west on US Hwy 14/16/20 to the Hayden Arch Bridge, 6.2 miles. Turn right and there will be parking right before the bridge or after. Each site only holds 2-3 cars maximum. Don’t block the gate along the Hayden Arch road because it is used by the power plant workers. There are no fees and there’s no water. Vault toilets are available at Newton Lakes. Leashed pets are welcome and be alert for a possible rattlesnake.